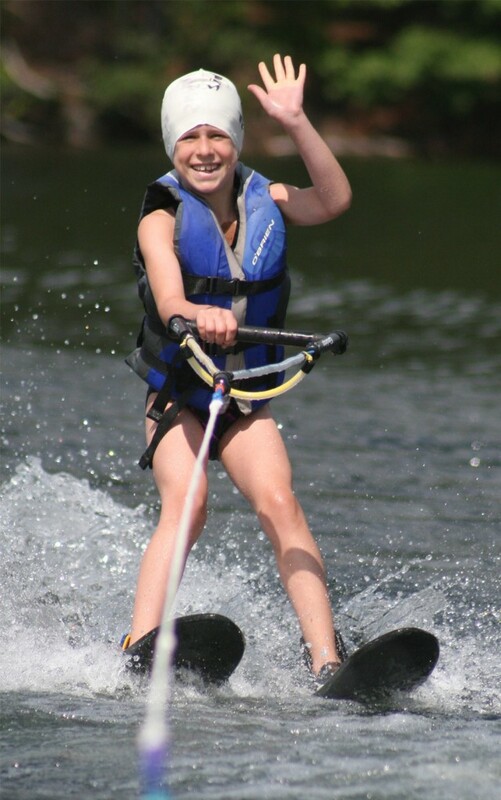 Each camper has a chance to experience the thrill of water-skiing on beautiful Brant Lake. 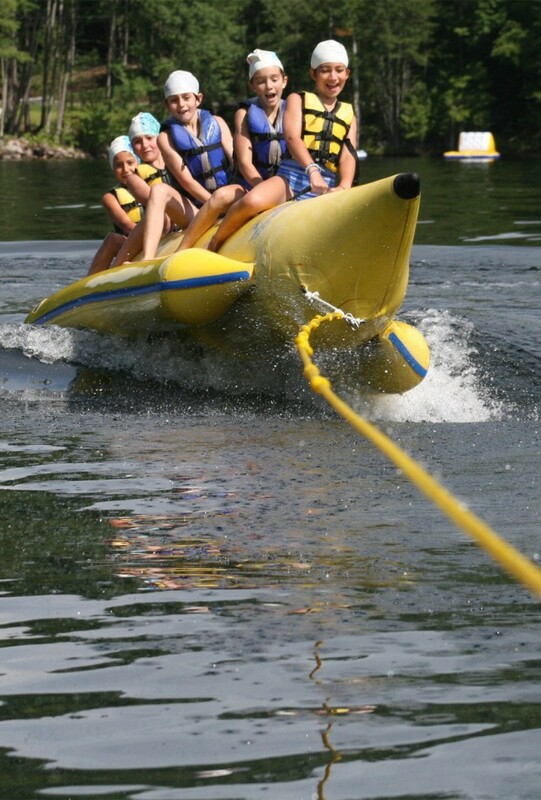 With two performance Ski Nautique watercrafts and one Sport Nautique with tower always in use, our campers have ample opportunity to glide on the water. Novices learn to ski with a ski boom on the side of our boats, and have the security of our ski staff right beside them to give them direction and instill confidence. 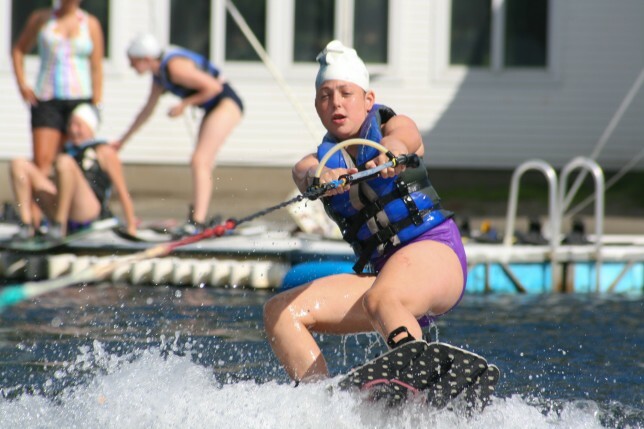 Once campers feel secure on the water, they move behind the boat advancing through the US Waterski Team skills progressions. For more advanced campers, video analysis is used to help correct slalom techniques. Some campers may even like to master the toe hold! Eight waterski instructors constantly watch over the safety of all campers, while challenging them to achieve their very best. Advanced skiers enjoy the opportunity to participate in advanced skill development clinics. 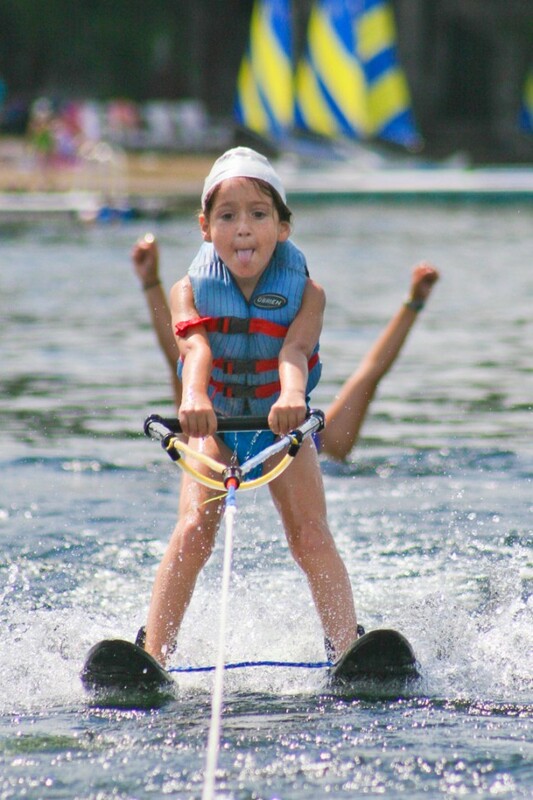 Campers who enjoy the thrill of doing tricks on the water excel in our wakeboarding program. Utilizing our Sport Nautique watercraft, equipped with wakeboarding tower, wakeboarders are able to cruise comfortably behind the boat, carve in and out of the wake, learn tricks and jumps, and may even master a 360. We also have an intra-camp wakeboarding competition where campers can showcase the tricks they have learned throughout the summer. Every one of our waterfront staff is certified with American Red Cross Certifications. 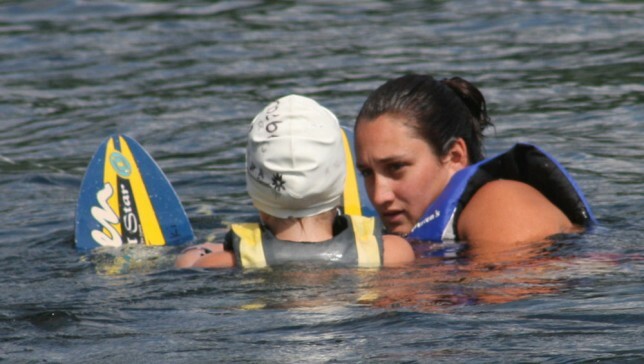 These include, Waterfront Lifeguard, CPR/AED for the Professional Rescuer, First Aid and Epi Pen. Waterski instructors obtain their New York State Public Vessel Water Ski Boat Operator’s Certification.